This week at the TGIF Challenge Blog we are inspired by fellow design team member Rochelle Blok. Rochelle inspires me regularly so this wasn't a hard challenge. 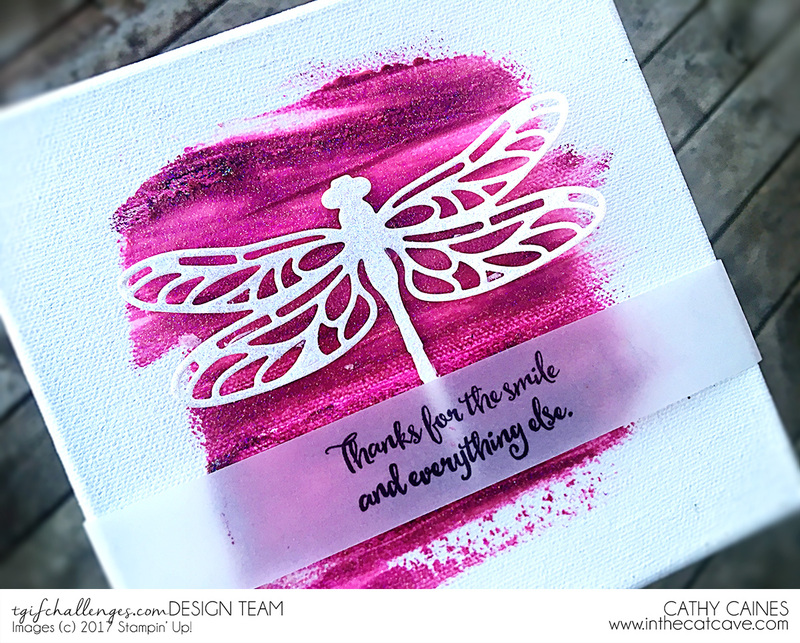 In fact recently she did a simple frame with these dragonflies and I had it on my list to do something similar. You see, I have a friend that lost her battle with cancer last year. For some reason she loved dragonflies. She also loved pink and glitter with all her heart. I am reminded of her every time I see these Dragonfly Dreams die cuts and stamp set. This is a small 6x6 canvas and its really easy. Mix that together on a craft mat or some plastic wrapping. 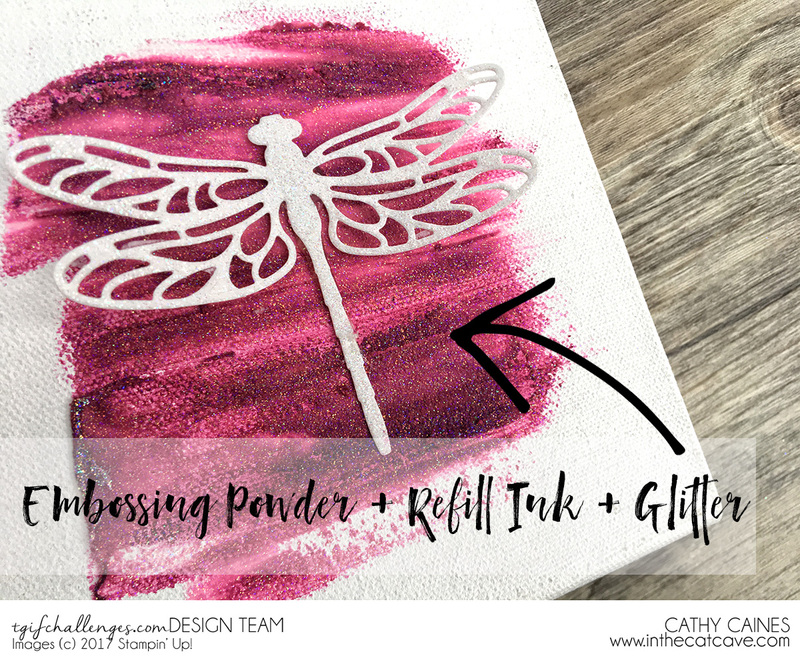 Use a pallet knife to wipe it across the canvas. Just like you are icing a cake. Wait for it to dry and you are done. This photo doesn't quite capture the sparkle that this project has... most importantly though, my angel can see it as she laughs at me in heaven. "Thanks for the smiles and everything else" Tash. 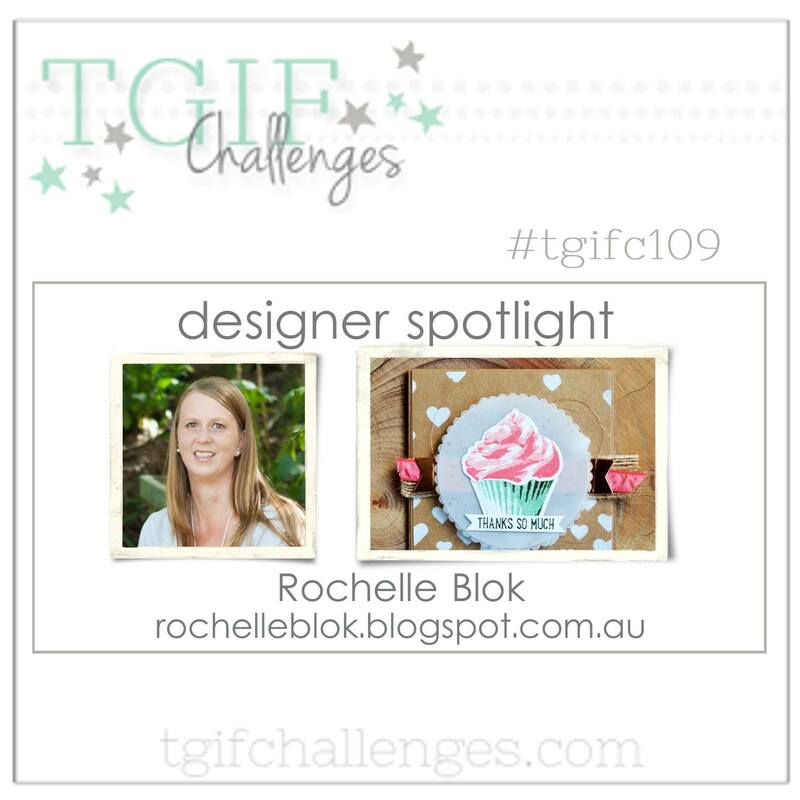 Thanks for dropping by - make sure to be inspired by Rochelle at The Stamping Blok and join us at TGIF Challenge Blog this week. Cathy, I am so sorry for the loss of your friend. This project is a wonderful tribute and really beautiful. I love the impact a little canvas has. I need to branch out from the "card" sometimes. itube pro apk download is really aweosme app if you are interested in watching and downloading movies for free from youtube instantly.